iCloud is one of the most popular Apple online storage services. This is because it allows you to store and sync all your data between various Apple products including iPad, iPhone, Mac, and iPod Touch. This means that you can easily access your data wherever you are as long as you have your iCloud account details and sign in to any Apple device. When you turn on iCloud on your device, it automatically uploads and sends data to all the devices linked with the iCloud account. This means that other people with access to the other devices may view your private data. So, how do you turn off iCloud? 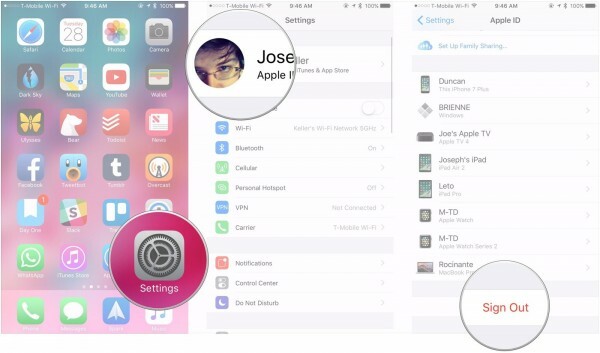 In this article, we are going to show you how to turn off iCloud on iOS devices. As useful and important as iCloud may be, there are times when you might need to do more than just turning off your iCloud account. If, perhaps, you have logged into a device you will no longer be using, you will want to ensure that your personal data remains private and inaccessible by unauthorized persons. Critically, though, signing out alone may not be enough to prevent unauthorized access; you will need to completely delete and erase your iCloud account for certainty. 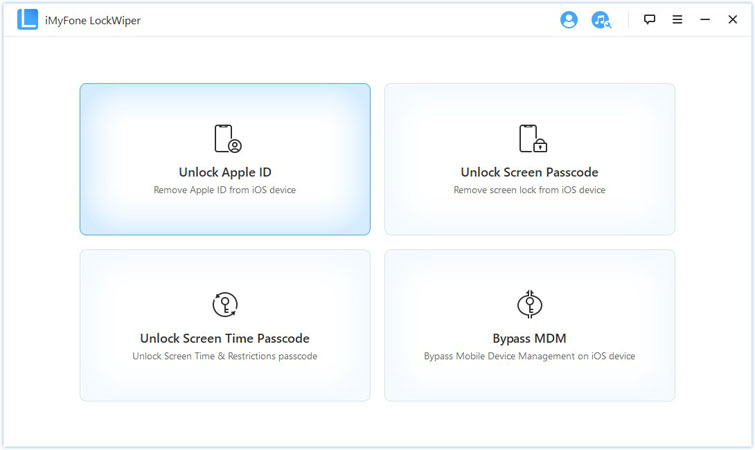 Should you have to delete your iCloud account, there are mighty few tools that are quite as effective as iMyFone LockWiper. This iDevice erasing tool can be used to wipe off every ounce of data on your iPhone, iPad or iPod. Simply install it on your Mac or Windows PC and follow the very straightforward steps to erase your iCloud data. Completely and permanently wipe out your iCloud account from the device along with every bit of personal data. Enable any other future user of the device to freely sign in with their personal account or create a new one for free and complete access to the device. Enjoy complete and unrestricted access to every feature and service enabled by your Apple ID or iCloud account once the switch is complete. 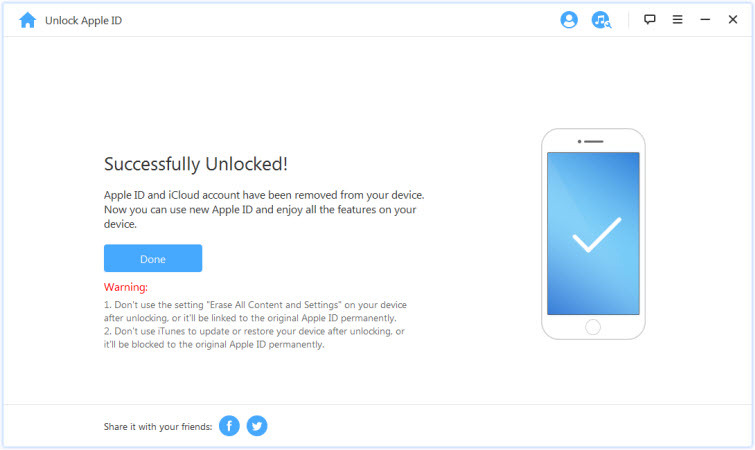 With iCloud completely erased from the device, new device owners will be immune to tracking attempts by owners of the previous Apple ID. How to erase Apple ID without password using LockWiper? Step 1: Download LockWiper on your Mac or Windows PC; Install and launch, then select “Unlock Apple ID” mode. Step 2: Connect your iDevice (iPhone/iPad/iPod Touch) to your computer and trust computer. Step 3: Click “Start” to unlock. 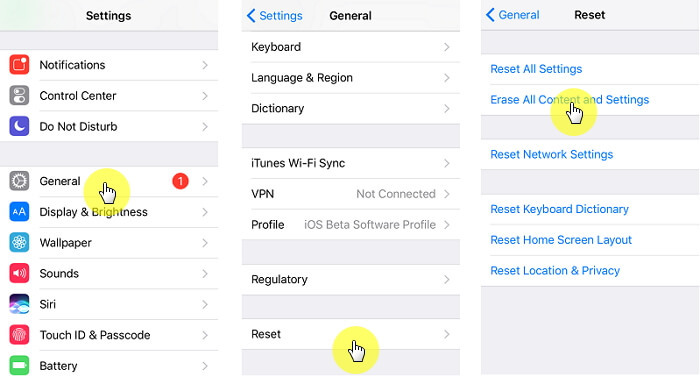 Step 4: Go to Settings on your device and select Reset All Settings if you can’t turn off “Find My iPhone”. 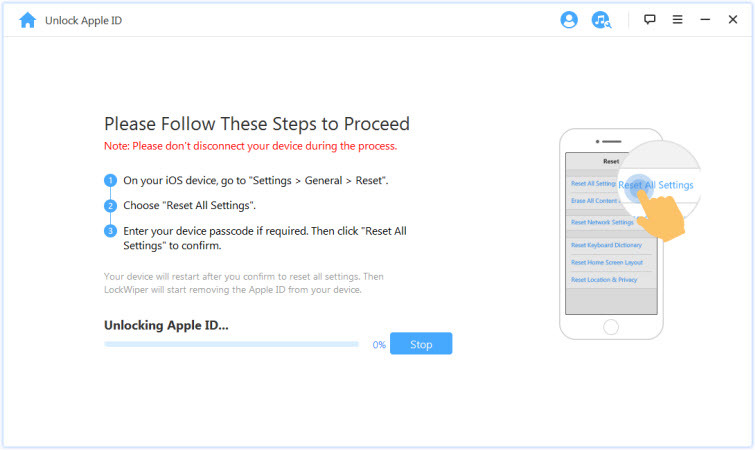 Step 5: Wait for the unlocking process to run which will turn off and delete the iCloud account. If you want to prevent iCloud from syncing or automatically backing up your personal data, you can simply disable it. Disabling the iCloud backup does not necessarily mean that your account is wiped off. 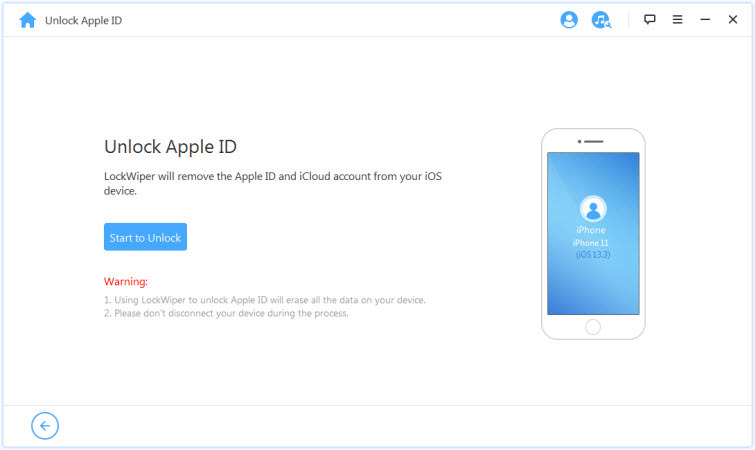 It simply means that you will have to enter your iCloud credentials to access the account. You can sign in to your account via any other iDevice. Use the following steps to turn off iCloud on your iOS 12 device. Step 2: Tap on [your name]. Step 3: Scroll down to the bottom of the screen and then tap on the Sign Out option. Step 4: Enter your iCloud password and it will turn off iCloud on your device. Yes, you can turn off iCloud from an iOS 12 device without a password. However, this will only work when the Find My iPhone feature is disabled. You can use Erase All Content and Settings to turn it off. If the Find My iPhone feature is still enabled, you will have to enter your password to be able to turn off iCloud. Here is how to turn off iCloud from iOS 12 without a password. Step 2: Go to General and then click on Reset. Step 3: Click on Erase All Content and Settings. When you turn off iCloud on iOS 12, you will prevent the backup service from syncing and backing up your data. 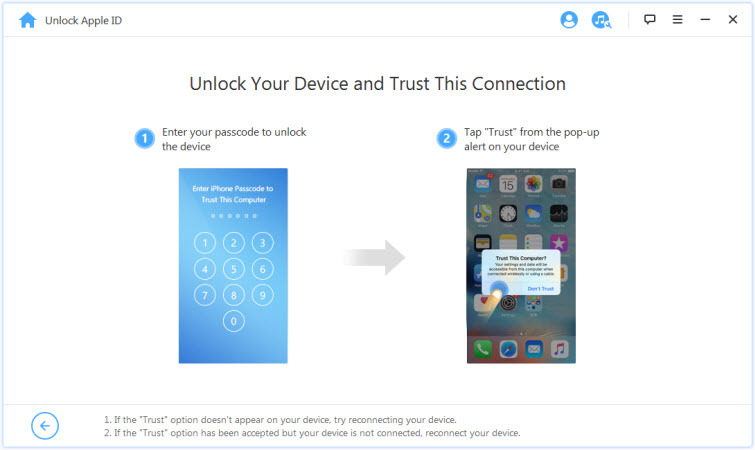 It is, however, advisable that you delete your iCloud account from your device whenever you cannot access it anymore or when giving out your device or selling it. With iMyFone LockWiper, you can easily wipe your iCloud account from your iOS device with ease and efficiency. This software can also permanently delete previously deleted data from your device and protect your privacy.